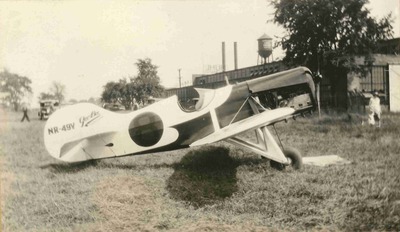 One of the fastest and certainly the sportiest looking entry was the Granville Geebee, a low-wing monoplane with wonderful performance. It was later built with a wasp engine and could travel 250 milesper hour. It could almost go straight up in its climbing angle.